Caerleon Child Care says Thank You to the Llanishen Community as it celebrates World Gratitude Week. 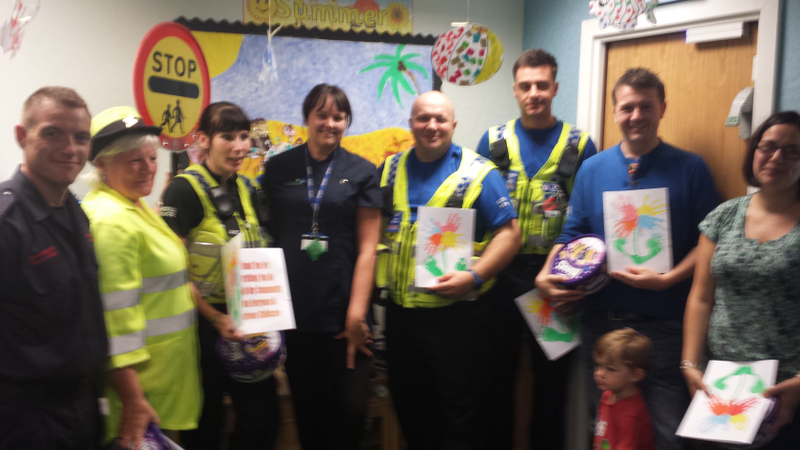 Caerleon Child Care invited along members of the community to their Family Day on Saturday 27th September to present gifts, and cards of thanks, as part of their week-long celebration of people that help us within the Llanishen community. 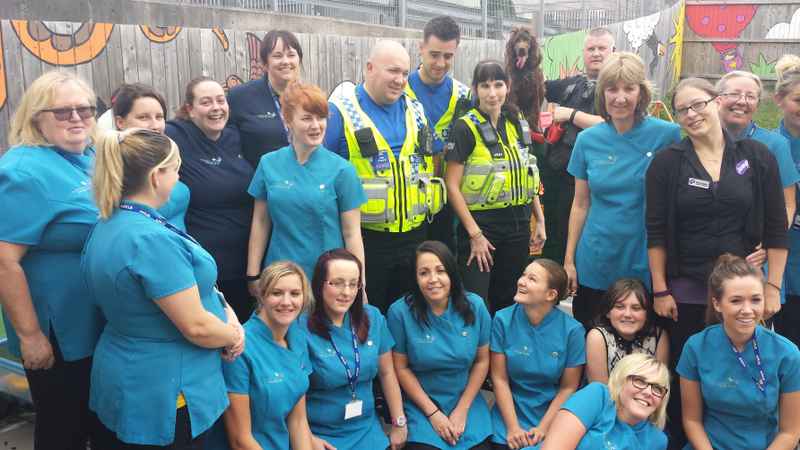 Thanks were presented to representatives from South Wales Police, the fire service, School crossing patrols, teachers and NHS staff. 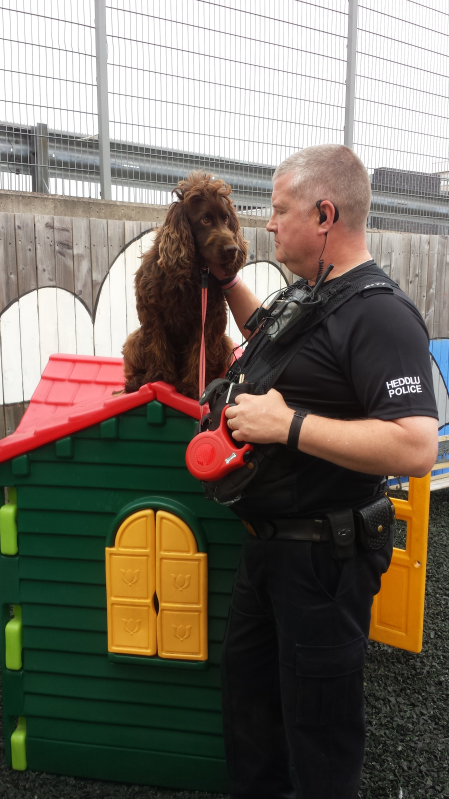 As a reward for their own hard work the children and their parents were treated to lots of fun and activities at Caerleon Child Care which included, viewing 2 police cars and a very clever police dog. This Week also saw the children baking cakes to sell for the Macmillan Coffee Morning which was held in both Jump Indoor Play Centre and Caerleon Child Care with a staggering £200.00 raised for the charity! Nursery Manager Kaye Knox said it was an amazing experience seeing over 140 guests enjoying a fun filled day of music, dance and fun as the Grand finale of an exciting week which provided our children with an insight into the special people who work in our community daily. The experience provided has left the majority of our children wanting to be Police officers and dog handlers when they grow up!